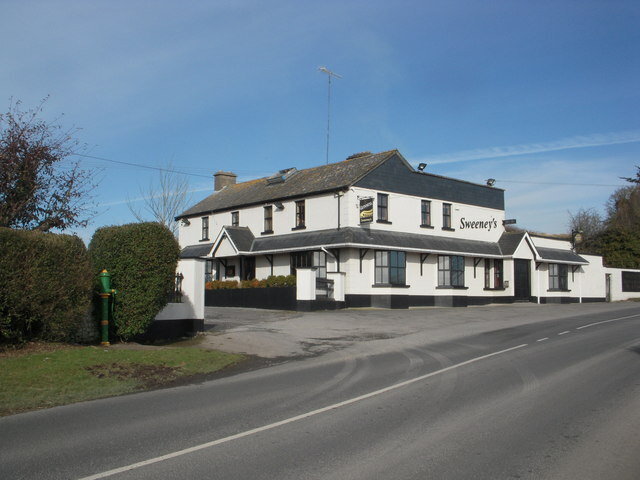 Pub and restaurant a Kilbride crossroads, Co Meath. Note the water pump set in the hedge, painted in the colours of the Meath county team (Gaelic football and hurling). This page has been viewed about 1317 times.